Drops from Thorim (10 man) Hardmode. This seems to be the best off-hand weapon for a combat rogue. The other options are Golem-Shard Sticker from 25-man XT-002 Deconstructor and Rune-Etched Nightblade from 10-man Iron Council. 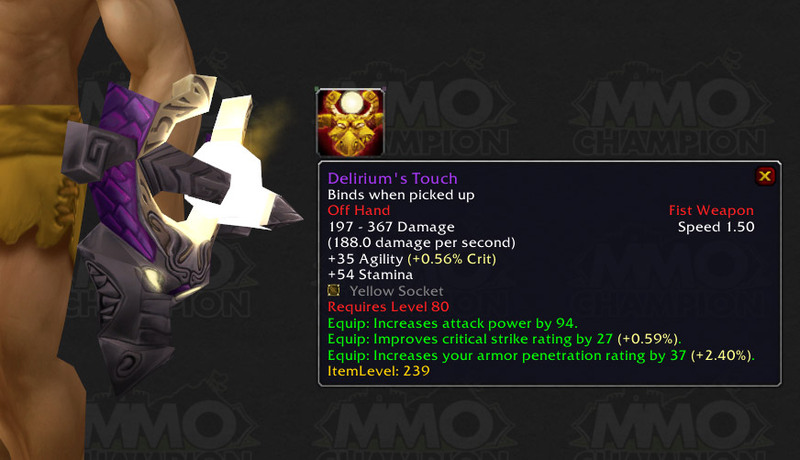 Combine this dagger with Golden Saronite Dragon and you have yourself the Best in Slot weapons, which most likely will make you skyrocket in DPS. Bootblade? Is that where you stick a knife on the tip of your boot? "Look bro, im stabbing while kicking!" But really, the thing about the name of this dagger is that it sound like it's a "boot knife", aka one of those knife that you can holster around your foot/shin/boot as a hidden weapon. It's usually featured in movie for spy/assassin or those "special force commando" guy with all the fixed blades and belt magazines wrapping all over them. A boot knife is a type of fixed-blade knife designed to be worn in or attatched to a boot. This keeps the knife concealed under the pant leg. Boot knives are typically double-edged and symmetrical. They are used for fighting, and sometimes throwing. In this case, im assuming it's very neatly fit for rogue since you can consider them as "assassin". The thing is strange about it though is that the name sounds a bit common and not very "epic" or "unique" like some would say. SUP DAWG, WE HEARD YOU LIKE STABBIN, SO WE PUT A KNIFE IN YO' BOOT SO YOU CAN STAB WHILE YOU KICK. They should add an effect that increase kick damage, just for the hell of it. 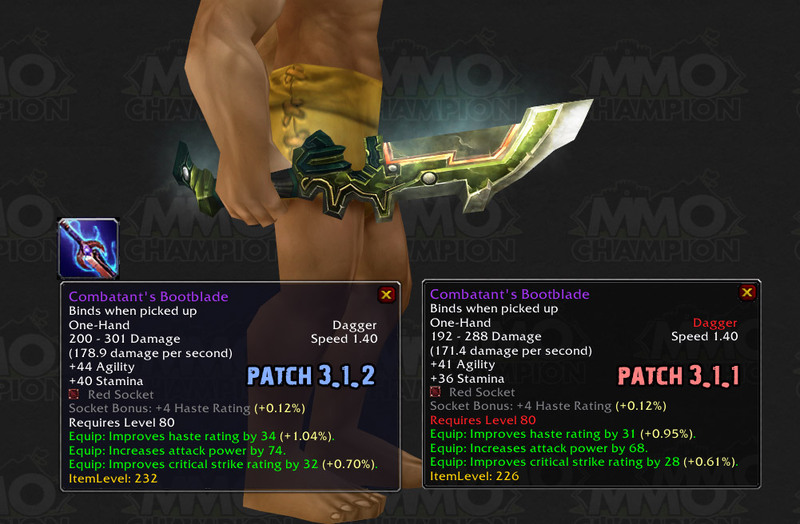 Actually Bladetwister from Algalon is the best OH dagger for Combat Rogues. The dagger wins BiS, because of it's attack speed of 1.40.